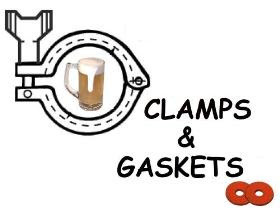 Clamps & Gaskets: News Roundup for Weeks 33/34, 2016. The Craft Brew Alliance (consisting of Widmer Brewing, Red Hook, Kona, Omission, Square Mile, and KCCO) signs agreement with Anheuser-Busch InBev to join the latter's distributon network, brew a substantial portion of its beers at Budweiser plants, and set qualifying offer terms should A-B IB, which already owns 31.5% of the consortium, move to purchase it. Rudy Van Gelder, perhaps the most influential recording engineer in the jazz genre,who brought to vivid life the sounds of such legendary artists as Thelonious Monk, Miles Davis, John Coltrane, Herbie Hancock and Freddie Hubbard, has died at 91. Cooking with 'spent' beer grains. The National Park Service is one-hundred years old, created on 25 August 1916. The first U.S. national park, Yellowstone, is older, created in 1872. 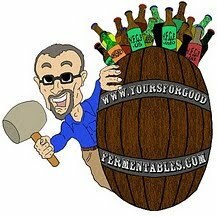 'Craft' beer bubble: a 1997 redux? Please can we all remember that Pete's Wicked Ale went public on the NASDAQ on November 8, 1995 and rose 40% immediately. Petes was initially priced at $18 in the offering and closed at $25.25 at the end of the first day of trading. Today the brand doesn't exist. Doesn't even exist. Not kidding. Doesn't exist. These issues, I am certain, will only intensify as more breweries come online and capacity starts to outstrip demand, and distributors and retailers start to say 'no mas' on additional brands and SKUs. Too many breweries creating a crowded marketplace, tap rotation nation, too much brewing capacity but not enough packaging capacity, too much bad/infected beer being produced, too much dusty old beer on the shelves, rampant pay-to-play, and big brewers aggressively getting into the game. Oh, and deep discounting: the biggest red flag in predicting a 1997 redux. There will be more Pete's Wicked Ales, mark me. The reverse-tipping-point is here, or will be soon. And when times get tough and the craft pie is not growing even high or mid single digits anymore -- or, god forbid, FLAT -- people will get sharp elbows. It's already happening. Look, I was already armpit deep in the business in 1996-2000 when the last time this was happening in craft. Everybody now seems to hopefully say, 'This time is different.' From what I saw back then and what I see now, the only difference is people have more tatts. Even the beards are the same. And the blithe ignorance. They know what they know, but what they don't know they assume doesn't exist. An earthquake of 6.2 magnitude strikes central Italy, killing 247. Jean "Toots" Thielemans, Belgian-born harmonica virtuoso and jazz composer, dies at 94. 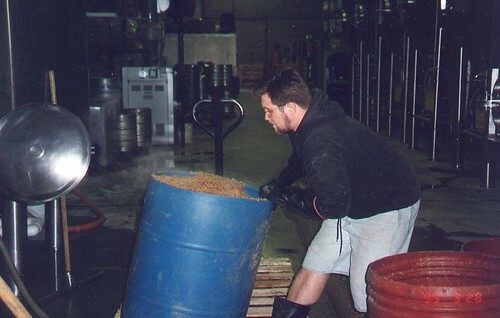 Since 1990, [brewery] production has grown faster than the total brewery number. The one time this wasn’t true – the late 1990s and early 2000s, when the index of permits caught up with the index for production – we got a shakeout. [...] All signs point to a future with slower growth in demand. A slowdown isn’t a bubble bursting and what we won’t see is a cratering number of breweries. The return of Stroh's Bohemian-Style Pilsner: NOT fire-brewed, NOT horizontally-aged, and NOT actually brewed by Stroh. The Red Cross considers the floods which inundated Louisiana to be the worst natural disaster to strike the United States since Hurricane Sandy four years ago. More than 31 inches of rain fell in 15 hours; 13 people died. The state of Virginia gives a $500,000 performance-based grant to MillerCoors to assist with a $60 million expansion. The brewery says that its capital investment will create 27 additional jobs for Rockingham County in Virginia, where the plant is based. According to Gallup, 43% of Americans who drink alcoholic beverages choose beer; 32%, wine; 20%, liquor; 3% have no preference between the three; and 2% have "other" or no opinion. 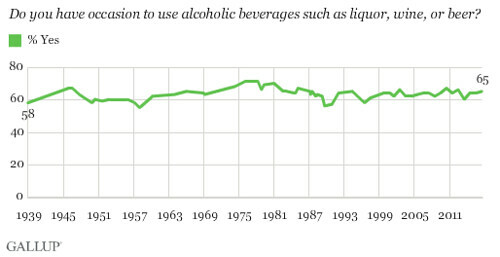 The percentage of Americans who do consume alcohol (~65%) has remained relatively steady since 1939. Pumpkin beers are not always made with real pumpkins. The fall fruits don’t lend a ton of flavor to beer, so instead brewers rely on 'pumpkin spice'—a combination of cinnamon, cloves, and other pie-like flavors that conjure up the holiday season. When brewers do use pumpkin, it’s often canned or frozen. The fresh stuff isn’t in season until its too late to market and sell the beer. 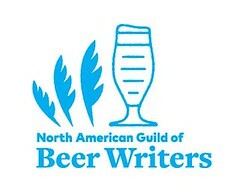 Millenial 'craft' beer drinkers comprise 57% of 'craft' beer drinkers; Gen X-ers, 24%; aby boomers, 17%; "matures', 2%. You can, arguably, buy a relatively good table wine for $12. But if you compare that to $12 and up for a craft beer six pack, beer is not such a great deal anymore. —Beer and whiskey writer Lew Bryson, at Charleston City Paper. Is pH the new IBU of 'craft' beer? Brewing beer with the lowest pH is like making an IPA with the most IBUs. 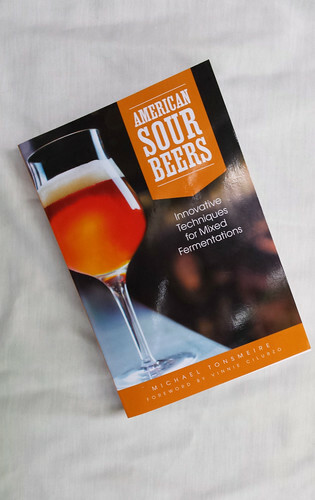 —American Sour Beers author Michael Tonsmeire, via Appellation Beer. The state of California considers allowing its 42,000 hair salons to serve wine and beer on their premises, without standard on-premises alcohol license. San Diego, California 'craft' brewery, Green Flash, announces that its new East Coast plant, in Virginia Beach, Virginia, will be opened on 13 November 2016. Green Flash joins three other west coast breweries with plants in Virginia: Stone Brewing (open in Richmond) and Deschutes and Ballast Point (the latter two to open soon near Roanoke). The [U.S.] Brewers Association hosts a 5-course vegetarian dinner served with American 'craft' beers, in ... the United Kingdom.